My name is Julia Mueller, and some of you may know our unique journey that included adopting a sibling group of six. We have three girls and three boys, but today is all about the girls! Mommas of girls – gather round! 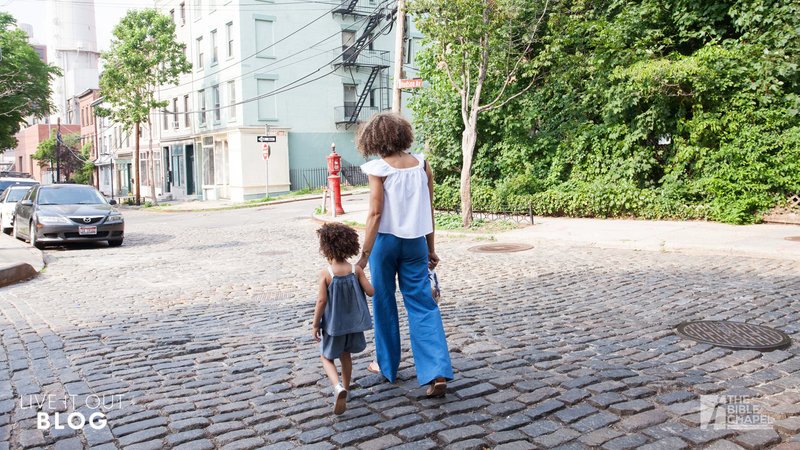 Many of us can think of mother-daughter relationships that are toxic and volatile; we are not going to dive into those today, but rather look at what can we do to build the faith and character of our children. And this can only take place within their relationship with Jesus and under our shepherding. As with many parenting tasks, helping our kids grow boils down to relationship. After all, rules without relationship will never work. We don’t just want them to behave; we want them to know Jesus and follow Him. So as you parent your sweet girls, here are some practical ways that you can foster relationship and communication. Dates. Date your girls! We have Mommy Dates, Daddy Dates, and Mommy-Daddy Dates at our house, and they are truly the most treasured moments! Some may be planned, some spontaneous, but this is a time for you to get away, one-on-one, look your sweet girl in the eyes and ask, “How are you?” “What is hard right now?” “What scares you?” Giving your girls a safe place to share and then modeling faith in your Savior will shape their thoughts and how they attack life’s obstacles. Devotions. Read the Bible together. Read a devotional together. Show them who God is and don’t assume a knowledge foundation. Sometimes when we are familiar with a topic, such as our faith, we can become the worst teachers! We may assume that they know how much God loves them or how we can trust His word implicitly. We cannot expect their character qualities to grow until they have a relationship with Jesus and we show them how to allow the Holy Spirit to guide them. Make it your mission to make disciples in your very own home. Serve Together. I LOVE serving with my kids! This is where they see me lead and follow in my footsteps. Now that they are getting older and I have teens and preteens, I am blown away by their love for God and people. As you serve, talk about why we serve and what it means to serve the Lord. Through worship, words, and deeds we can become partners with our children in ministry. I see their faith become their own as they lead and serve. Teens and young adults who grew up in the church are walking away from their faith at alarming rates. When you serve together, it helps them move past knowledge and into action. It is no longer your beliefs; it’s They own it. It becomes real to them. If you want your kids to see Jesus, take them to Him. He is in the pain, the mess, and the heartache. Let them be there. This is where they will see that God is alive and active today; not a story, but a Savior. I pray that these three things give you tangible ways to connect with your daughters and help them grow in faith and character.